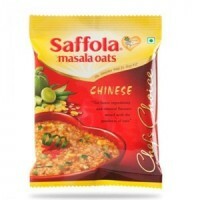 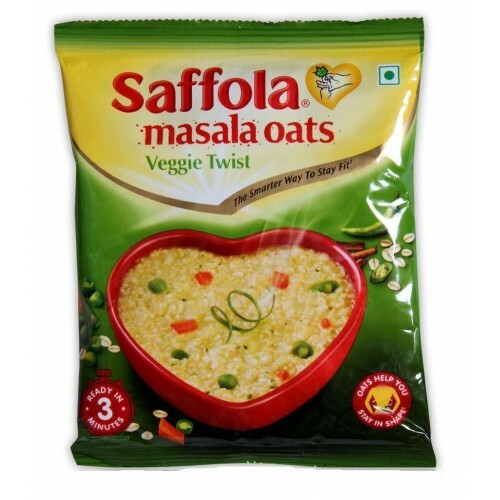 Saffola Masala Oats Veggie Twist is bursting with flavor and is made from 100% natural wholegrain oats along with real vegetables and the choicest spices. 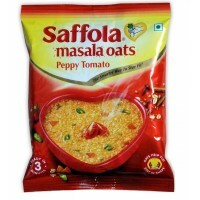 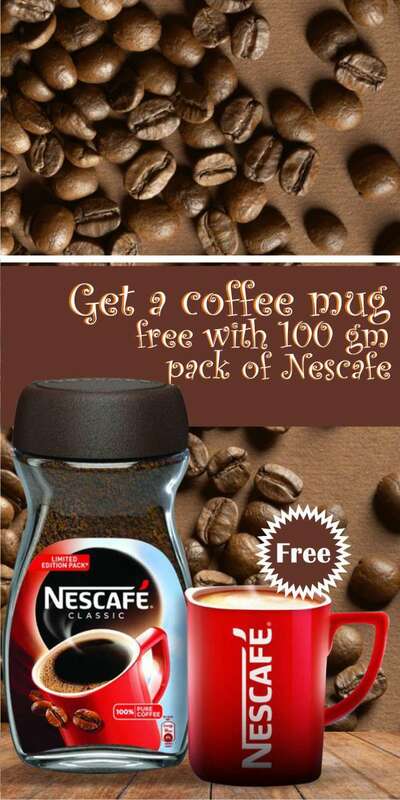 It contains a tasty and crunchy blend of peas, carrots and French beans. 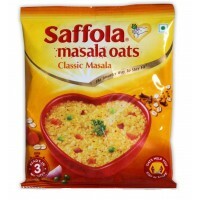 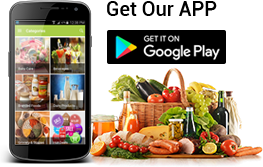 Oats(73.6%), maltodextrin, salt, dried vegetables (carrot(1.6%), green peas (1.1%), french beans (0.7%)), onion powder, sugar, dessicated coconut powder, milk powder, tomato powder, spices & Condiments(chilly, turmeric, ginger, cardamom, cinnamon, curry leaves) Hydrolysed vegetable protein, garlic powder, yeast extract, anticaking agent(551), acidity Regulator(330) flavor enhancers(627,631) Contains natural colour (100) and added natural & nature identical flavouring substances.